Our veterinary team at The Vet Nottingham are experienced and knowledgable and with pets of their own, they understand exactly what your pet means to you. Use the calendar icons below to check the availabilty of your vet. 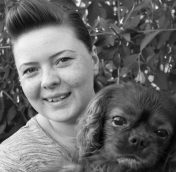 Becoming a veterinary nurse has always been a dream career of Stacey’s. She qualified in 2013 and has enjoyed experiencing all aspects of nursing, finding a particular interest in surgical nursing. During her time as a nurse, she has taken on three very special but spoilt cats. This has led to a particular interest in all things feline. 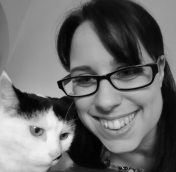 Stacey has recently completed the ISFM certificate in feline nursing which has developed and furthered her knowledge in all areas of feline nursing including how to reduce and prevent stress both at home and within the practice. Animals have always been a huge part of Heather’s life from an early age, always having dogs in the family. She currently has 5 dogs Ruby, Oakley, Mali, Mildred, and Heidi, she also has two cats Fat Stevie and Nigella the ginger Ninja. 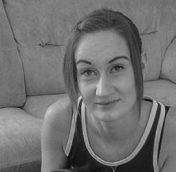 Aside from her animals Heather’s interest include, reading, socialising and F1. 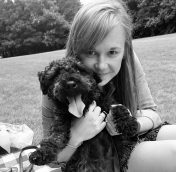 Holly was born in Hong Kong and moved to the UK with her family when she began studying veterinary medicine at the University of Nottingham. She graduated in 2012, after which she carried out a rotating internship at a veterinary hospital in Derby, where she explored various areas of small animal medicine and surgery. She has developed an interest in imaging, anaesthesia and soft tissue surgery. In her spare time Holly enjoys staying active and especially enjoys walking and meeting with friends. She currently has a naughty little black cat who likes to stalk inanimate objects. Debbie qualified from Liverpool University in 1992, and for the first two years worked in mixed practice treating farm animals, pets and even a few zoo animals such as a camel with an abscess on its hump! 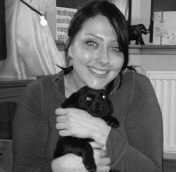 The last 20 years have been spent in small animal practice in Nottingham where Debbie has developed a special interest in ultrasonography and soft tissue surgery. When she is not working Debbie spends her spare time at the gym or walking in the peak district, reading and going to the cinema. 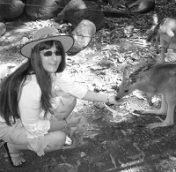 Debbie’s real passion is world travel to meet first hand all the amazing creatures around the globe; from the Tiger Sanctuary in Thailand, to Whale watching in America, on safari in Africa, and snorkeling the Great Barrier Reef. Debbie currently doesn’t have any pets of her own but she does sponsor a brown bear cub in a bear orphanage in Canada. Alex first qualified at the University of Nottingham in Animal Science and worked for 3 years at a crime and punishment museum before graduating as a Vet from the Royal Veterinary College in London. 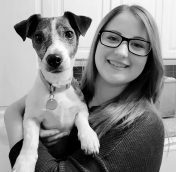 She has spent 2 years working at an independent, small animal practice in Mansfield and is now hoping to broaden her experience and pursue her interest in soft tissue surgery. In her spare time, Alex enjoys baking, hiking and games nights with friends, usually alongside a cheeky glass of wine. 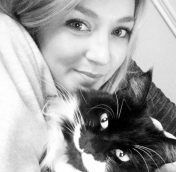 She also devotes much of her time to her rescue cat Belle who can be very demanding when it comes to cuddles, food and belly rubs. Giulia graduated as a Veterinary Surgeon in Milan, Italy, and decided to look for a job in England straight away. 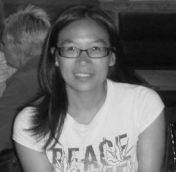 Before graduating, she had a 1 year training experience in Anaesthesiology, where she gained a great interest in this branch of the Veterinary Medicine. Back in her home town in Italy, Giulia I has a lovely dog whose name would be translated to “Meatball”, and 4 grumpy cats who love bringing their catches home. In her spare time Giulia enjoys travelling, reading, and walking in parks – at least when it’s sunny! Stephanie has always loved animals and since leaving school she has completed a diploma in Animal Management and a degree in Zoo Biology. She qualified as a veterinary nurse in 2016. Since training to be a veterinary nurse she has rescued 2 cats, a dog and a Chinese fire bellied newt. She also owns a horse. In her spare time, she enjoys horse riding and going running with her dog, Ozzy. Melissa qualified with an Fdsc in Veterinary Nursing in 2016. She has always wanted to be a veterinary nurse and is especially interested in the surgical side to nursing, particularly orthopaedic surgery. She also has a keen interest in physiotherapy and hydrotherapy. Melissa currently has a Guinea Pig, a rabbit, a cat, 2 dogs and 2 horses as family pets. Outside of work Melissa enjoys horse riding and is also a member of a brass band. Christina qualified in 2009 via the RVC’s foundation degree where she attended placements at a variety of practices. After bouncing about for placements she settled down in a practice in Middlesex for seven years before moving away from the hustle and bustle to join the Nottingham team. Christina enjoy all aspects of nursing and cannot think of any other career that she would want to do; she has a particular interest in physiotherapy. At home Christina has a mischievous rabbit with a wonky leg who has been her companion for six years. 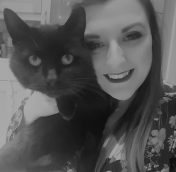 Charlotte studied and completed a 3 year foundation degree in veterinary nursing with Applied Animal Behaviour in Cambridge. She then moved straight home after completion and into her first nursing job. Charlotte wanted to continually learn and develop in her career by learning from others and being the best nurse she can be. She enjoys all aspects of being a veterinary nurse but especially theatre work due to the fast dynamic, unpredictable atmosphere. At home, Charlotte likes to attend Leicester City FC home matches as she was originally from Leicestershire and still supports them. Rebecca is currently studying Veterinary Nursing at Nottingham Trent. She decided she wanted to be a Veterinary Nurse after living in Australia for a year and a half and would eventually like to go to Africa to work with Elephants. 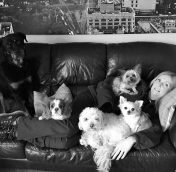 She also has an extended diploma in animal care and animal management and has previously volunteered at vets and kennels, expanding her knowledge in animal care. In her spare time, she likes going to concerts, listening to music, walking her dog and spending time with friends. Rebecca only has the one dog who is a German Shepherd called Skye, who’s 1 and a half years old (the pup in her picture). 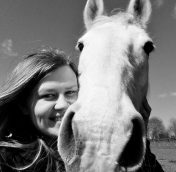 Ellie is a student veterinary nurse in her final year at Nottingham Trent University. She has always wanted to be a veterinary nurse from a very young age and has previously worked in first opinion practices, a referral veterinary centre and a small veterinary hospital where she did the majority of her work placement and completed her NPL. Ellie has a love for small furries, especially hamsters! She currently has three at home; Archie, Peach and Whiskey. Whiskey (in photo) was brought into her previous practice by a member of the public who found her rolling around in her ball on the street so Ellie rescued her that same day. After she qualifies, Ellie intends on doing a course in emergency & critical care and exotics. Laura has always loved animals having grown up with them from a young age. Laura qualified in 2016 with an FdSc in Veterinary Nursing from Nottingham Trent University. Following this, she topped up her qualification at Harper Adams University by completing her BSc (Hons) Veterinary Nursing and Practice Management in 2017. During this time Laura was able to achieve C-SQP status as well as her Veterinary Practice Administration Certificate. Her love for Veterinary Nursing is reflected in her keen desire to develop in order to provide the best standard of care. Laura, whilst enjoying all aspects, is especially interested in anaesthesia, surgical nursing and behaviour. Laura currently has two gorgeous but crazy Springer Spaniels, Molly and Mabel. In her spare time she enjoys reading, socialising and horse riding. Sue has loved animals all her life and has always been passionate about their welfare. From a very young age she owned several rabbits and has gone on to have cats, dogs, guinea pigs, gerbils, rats and horses as well. Until getting this job Sue volunteered at a local animal sanctuary and loved caring for all the animals. She hopes one day to fulfil her dream and be able to train to become a qualified veterinary nurse and is very excited to be working in a veterinary environment. At home Sue has a beautiful Weimaraner, Labrador cross called Nixie and a mischievous but very lovable rabbit called Herbie. In her spare time Sue enjoys being outdoors, gardening (pretty unsuccessfully), running and reading but loves nothing more than taking Nixie for long walks. Rachel has always had a love for animals, shown by her monthly donation to Cats Protection & owning pets since an early age. She suspects this comes from her claim to fame of being a (very!) distant relative of Sir David Attenborough! Following completing her bachelors degree in her other area of interest, sport & exercise science, and working in the field since graduating in 2014, Rachel decided that this was not the industry she wanted to pursue a career in and sort after a route in Veterinary Nursing. This was reinforced when she was lucky enough to spend 2 weeks in Africa in 2015, including going on safari in the Maasai Mara. Rachel is very happy to be working at The Vet and looks forward to her future development in the field. In her spare time she helps look after her Aunt & Uncle’s two Golden Labs, Harley & Rosie. Aside from animals, her interests include running, reading, and going to the theatre. Rachel currently owns 1 mischievous black & white cat called Evie and another one named Nala, having previously owned 2 cats, 3 rabbits, several fish and a hamster. Toyah grew up from a very young age handling her family-owned exotics pet and quickly developed a passion for animal welfare, especially in reptiles. 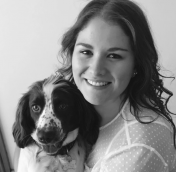 Having studied animal care and gaining experience in animal based environments, she is delighted to be studying veterinary nursing and developing her knowledge. Toyah doesn’t currently own any reptiles as she has a Labrador cross named Vinnie who she adores and spoils very much! Rebecca has always had a love for animals, which led her to obtain a diploma in animal management. 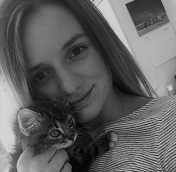 Rebecca’s especially passionate about the welfare of animals and in the past volunteered at a Cats Protection adoption centre and gained even more confidence being hands on with all the cats. In her spare time Rebecca enjoys walking outdoors and being at one with nature. In addition, Rebecca has previously owned hamster and rabbits but currently has no pets at the minute. Her dream pet would be a cat because their personality is very relatable to humans, plus their very cute! Rebecca is very proud to call herself part of The Vet team and looks forwards to learning more about animals everyday. 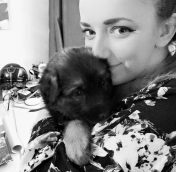 Working for The Vet Nottingham has truly become a dream come true for Emma as she loves working with people and animals. Growing up she has always had pets in her house and at one point she had 22 pets that included Rats, Rabbits and a Chinchilla (to name a few). Emma’s best friend is her 7 year old Cavalier King Charles Spaniel, Bobby (pictured). She adopted Bobby when he was 5 years old and they have been inseparable ever since, everyday when she comes home from work Bobby is sat waiting for her at the front door. In her spare time Emma really enjoys colouring, she loves it so much that she created a blog dedicated to it! After working in the finance sector for 7 years, Suzanne decided that a change of career was in order and pursued a career in animal care. She has loved animals since she was a child, having owned everything from horses to hamsters. Suzanne currently owns 3 trouble making bunnies, Luna, Meeko and Pipkin. Besides animals her interests include reading, socialising with friends and going to the theatre. She is very excited to be working at The Vet and looks forward to developing her career and knowledge of animal care.